Bikes are not just our business, they are our passion. Our goal is to help you find your dream bike that you can enjoy for many years to come. Already have a bike? No problem, we are staffed to meet all of your bike repair needs too, from tune-ups to major overhauls. Road, mountain, or cruiser bikes, there's nothing we haven't seen. 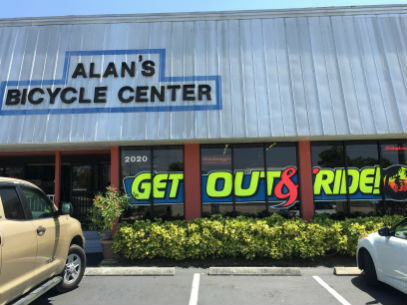 Alan's Bicycle Center has been in business since December of 1986 and we can fix any bike you bring us, so go ahead, try us out! We even work on wheel chairs. Our shop is stocked with only the best brands within the biking industry and quality equipment that will keep you safe while enjoying your ride. We carry a large selection of accessories as well from wireless cadence computers and clip-in pedals, to bells and mirrors. If you can dream it we will likely have it. We keep in inventory a large quantity of saddles, pedals, baskets, helmets, pumps, fenders, gloves, jerseys...the list goes on and on. 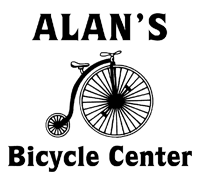 Alan’s Bicycle Center is fully committed to helping you find the bicycle that is perfect for you. Our professional staff will ask you certain questions such as, “How often and how far do you ride your bike?” and “What type of terrain do you like to travel on?” This will give them a chance to get to you know better as a person and a rider. It doesn’t matter whether you are an experienced mountain biker or have never sat on a bike in your life. 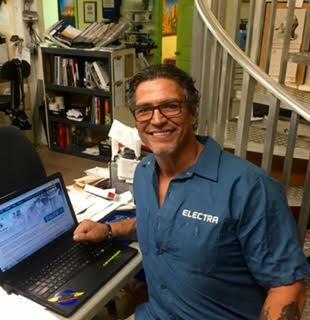 Our friendly and knowledgeable staff is here to help you. Since 1986, we have focused on families and family-friendly cycling and accessories. Stop by our shop to view our bicycle inventory or call us at 772-562-2453 to find out more about our bicycle repair and maintenance services. Contact Us.